Yes, the holidays are upon us. We hope your holiday is going as swell as pumpkin pie! And we also hope you'll help us share our #GivingTuesday campaign. 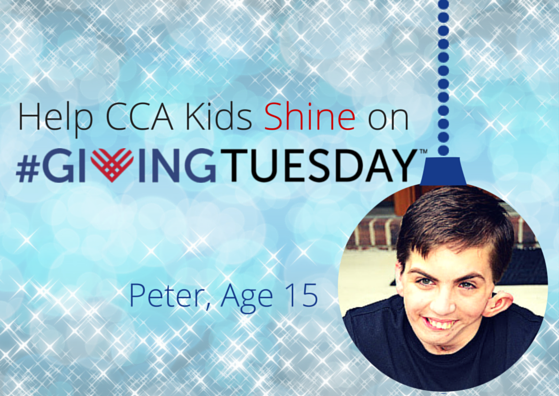 This is the first year CCA will participate in Giving Tuesday and we hope you will help us reach our BIG GOAL of raising $5000 to send more kids to Retreat. You see, just like the holiday lights decorating towns across the country, just like the twinkling tinsel on your tree, and the glowing candles in your menorah, CCA Kids SHINE all year long, especially after our Annual Family Retreat. From the moment a CCA Kids peeps out from behind her parent’s protective grip and see another kid that has “her same face,” there’s only one word to describe what happens: she shines. During our annual four-day event, CCA Kids’ smiles never leave their faces and “can’t” is not a word you hear. At Retreat, CCA Kids’ confidence beams so brightly that even the parents in attendance breathe in the joy. Our Annual Family Retreat is life changing for every family member involved. Parents are able to see their children in a new light – in a setting where they excel at making friends and trying new things … something our kids often struggle with back home. Siblings who attend can make friends who “get it” – what it’s like to grow up in a family that often gets more stares than smiles. And of course, the children with facial differences in attendance find a new confidence and zeal for life that is sometimes hard to cultivate apart from such an accepting and welcoming community. The Dysons sum it up beautifully, saying, “At Retreat, we arrived at a place of joy, bravery and miracles beyond what we had ever seen. No one we encountered over the next days is living their lives as if being ‘different’ is a tragedy.” Indeed, these kids are shining examples of a fulfilling, happy life. This year, please plan to give a gift that shines in the lives of others. 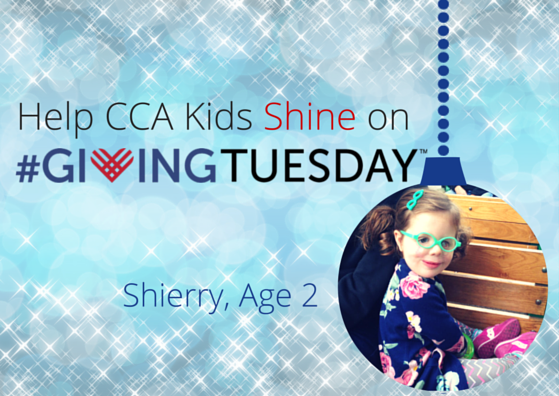 Give to CCA on Giving Tuesday and change an entire family’s life. 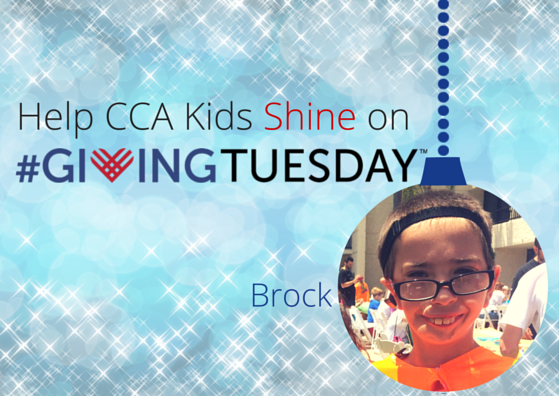 You can contribute to our campaign to raise $5000 to send more kids to our Annual Family Retreat on December 1, 2015 at www.givingtuesday.razoo.com/ccakids.